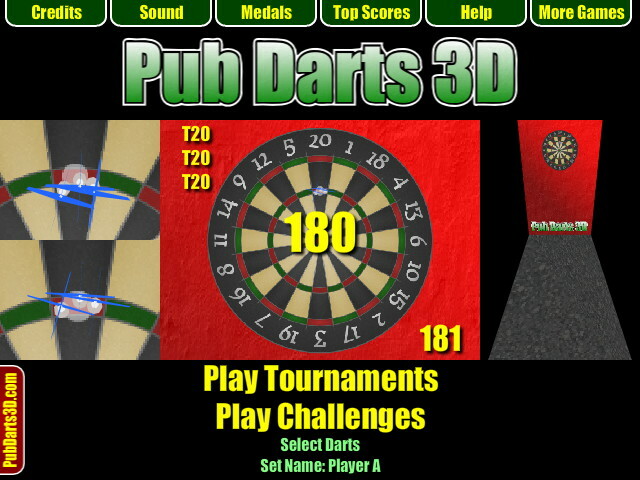 Beat the Master is the hardest darts challenge in the game, Pub Darts 3D. The Master is very skilful and is capable of high 3-dart averages and sometimes may even make a 9-dart finish. Only the best darts players will be able to Beat the Master! 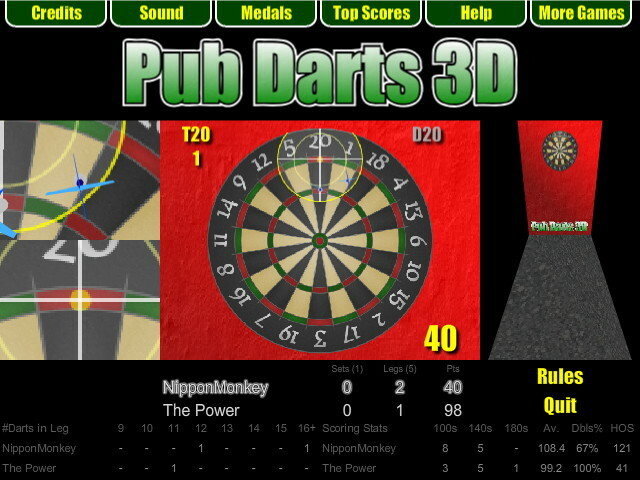 Pub Darts 3D is one of the best flash darts games online. It is a fast paced darts game where you can play 501 darts tournaments and challenges. Win over 30 medals for your achievements as you play the cups, Around the Clock, Beat the Master and the 21-Dart challenge. All of your 501 stats and top scores are automatically saved for you, including your 3-dart average, highest outshot, number of 9-darters, 10-darters, etc... It has simple controls and in-game hints so you always know what scores to aim for. You'd do well to find a better flash darts game on the web - Enjoy!